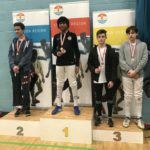 Spring has sprung for 2018 and the London Region Youth Championships have provided the stage for a host of London’s promising young fencers to strut their stuff fighting for the Region’s top spots and for their chance to fence in this year’s British Youth Championships finals. 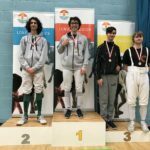 And, once again, we’ve seen first class performances that hold out huge hope for the future of fencing across the capital. Held over the first two weekends of March, our Saturday 3rd at Sportsdock fell foul of ‘the Beast from the East’. But Londoners are a staunch lot and, paradoxically, we had fewer no-shows than last year. The second tranche, at St Benedicts, had no such problems. In fact the Championships overall ran pretty smoothly. 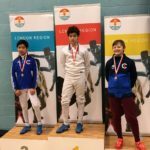 More than 250 fencers entered. 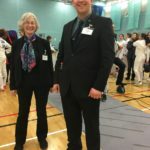 Forty were already ‘fast-tracked’ for the BYCs [having won a bye last year] and a further 87 won through the London Championships to qualify. So a total of 127 are set to represent themselves and London Region in Sheffield over the May Day bank holiday. 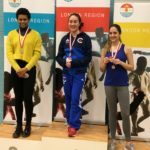 Last year London Region topped the points table. No pressure there then! 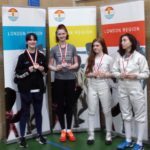 And we wish each and every one of our fencers a successful and enjoyable tournament this year. 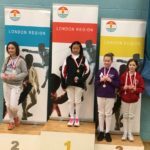 The Under 10s Epee BYCs took place in the last days of February and it was brilliant news for the Region there too. 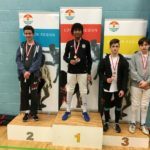 The top 4 places in the boy’s event went to London fencers, as did 3 of the top 5 places in the girl’s. Full results are on the BF website. Congratulations to everyone involved. We look forward to seeing you next year. This entry was posted in London Competition Results on 23/03/2018 by Andrew Nisbet.